"Better Together, Part One: Family Dinner"
More Rebirth catch-up. Hey, lookit that... the Joker is in the reflection on Wonder Woman's sword. 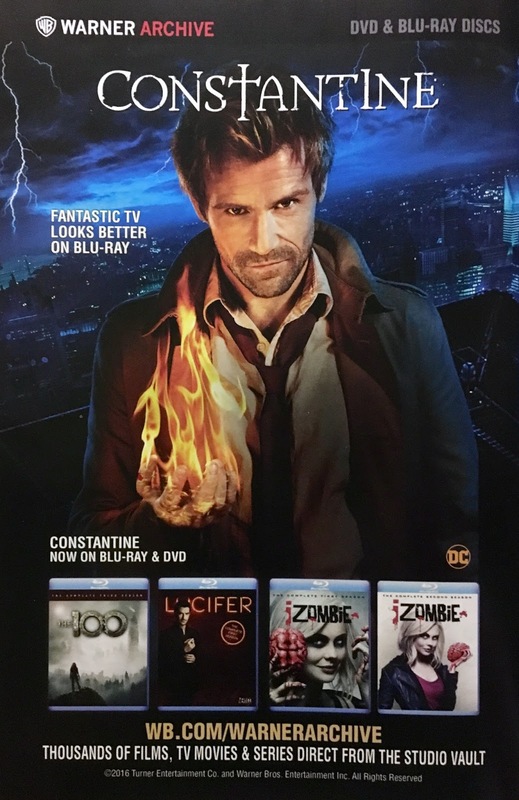 Glad they found a way to get him onto a cover... that almost never happens! But seriously... can we get a month... hell, a week without the Joker on the cover of something? Please? 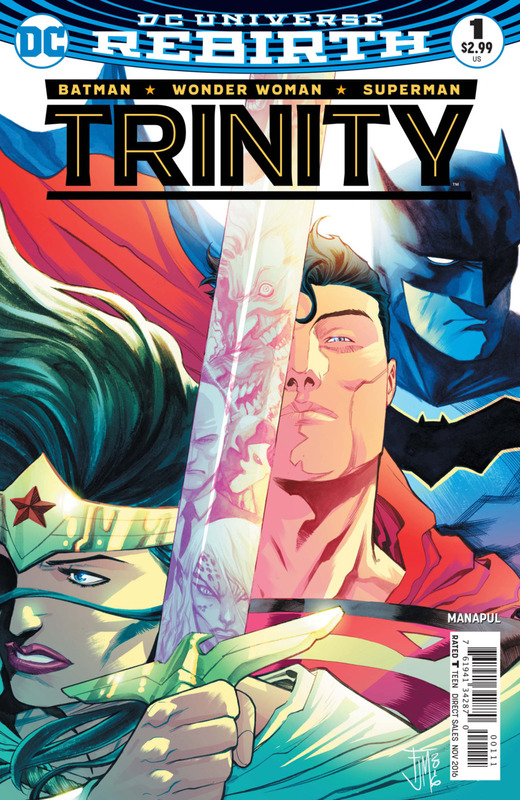 *You might notice that I labelled this Trinity (vol.2). This is due to the weekly series about a decade or so back by Kurt Busiek and Mark Bagley which also bore the title. 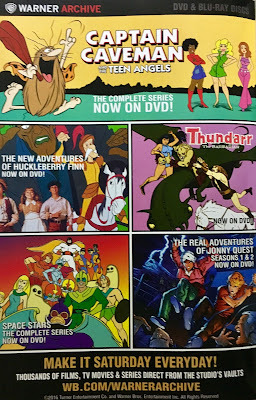 Since I may eventually cover a few of those, I wanted to make sure the "volume two" descriptor was in place here. It's a sunny afternoon at the Kent... White... Smith... farm, and Jonathon is out seeding. There is a monologue over this scene which discusses how one's life changes when they have children. 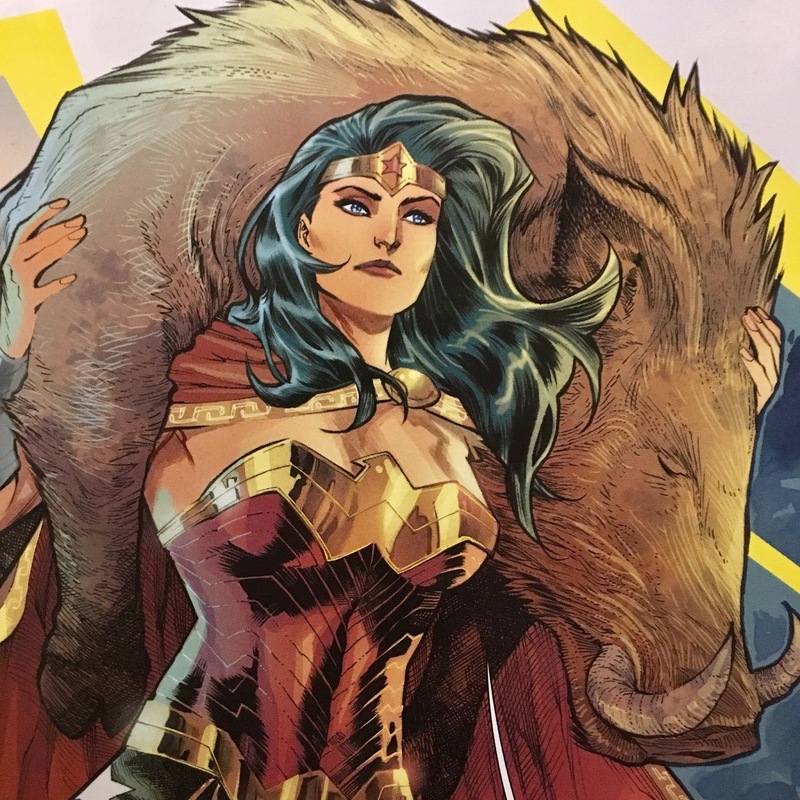 We then shift to a worried Wonder Woman, who is carrying a dead (wild) boar over her shoulder waiting for Bruce Wayne's arrival. 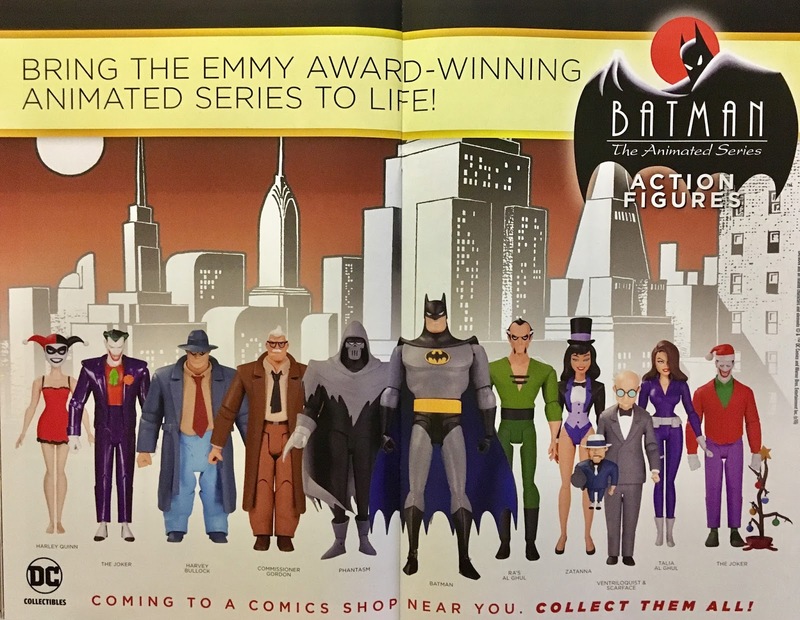 At this point, Batman arrives. He also seems to be a bit "off". It would appear that what he's about to do, he's only doing for Diana. He requests they keep whatever it is simple... get in and get out. We shift a bit later, and observe a discussion between Lois and Jon. The subject of responsible power-use comes up, which is a prevailing theme in the super-books at present. The doorbell rings, which surprises Jon... after all, they don't entertain all that often. He heads to the door and tries to engage his x-ray vision to see who it is... what he sees causes a bit of a shock, which is followed by a hellacious blast of heat-vision to their guests. We next catch up with the main man himself, Superman. He is wrapping up a day of super-ing, and has returned home to spend a relaxing evening with his family. Well, tonight's going to be a bit different, pal. 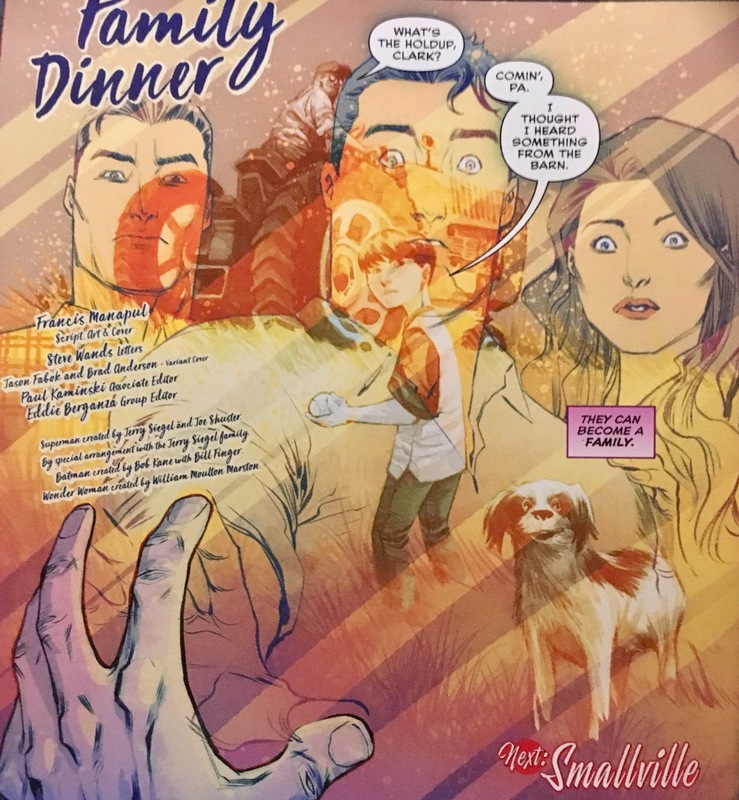 He sees his new Justice League teammates warding off a blast of heat vision... well, Wonder Woman does, Bruce just eats a chest-full of the stuff. 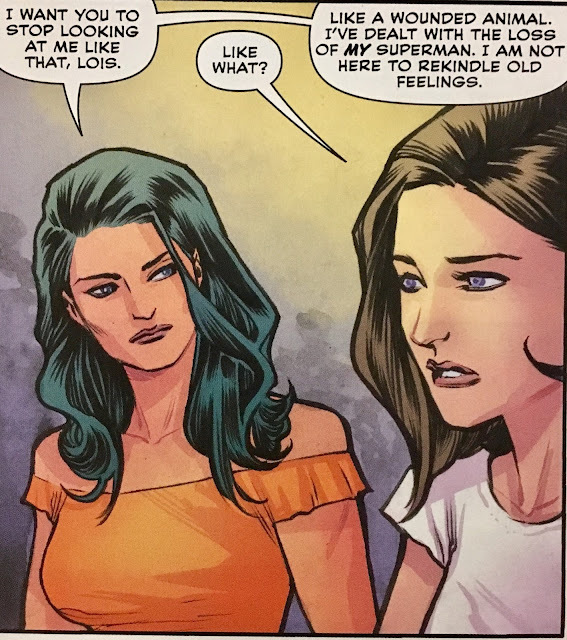 Clark's surprised... but Lois is not. Ya see, she set up this meet 'n greet dinner. Inside the group sits down to eat. Bruce is wearing one of Clark's flannel shirts due to his having been blasted. Bruce starts getting on Jon's case... which seems a bit out of character. 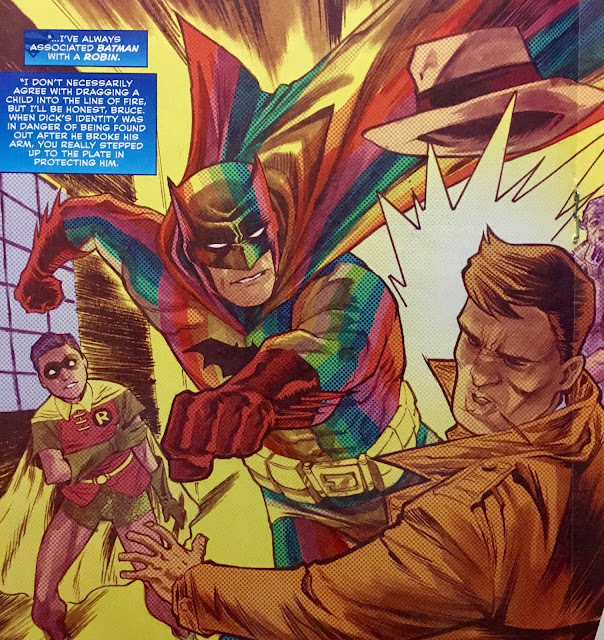 At this point, Clark reminds Bruce that he too works with a young partner, even going so far as to remind him of the time Robin broke his arm and Batman wore a rainbow-colored suit to distract from it. Bruce claims not to remember... which may be him playing coy, but it might also be because this is a different Bruce Wayne. I'm not sure. The men leave to fetch dessert, and because Diana wants to talk to Lois... alone. Once the menfolk vacate, Diana assures Lois that she is not here to take her man. Her Superman... the New-52 one... is dead. And so, everything is hunky dory. 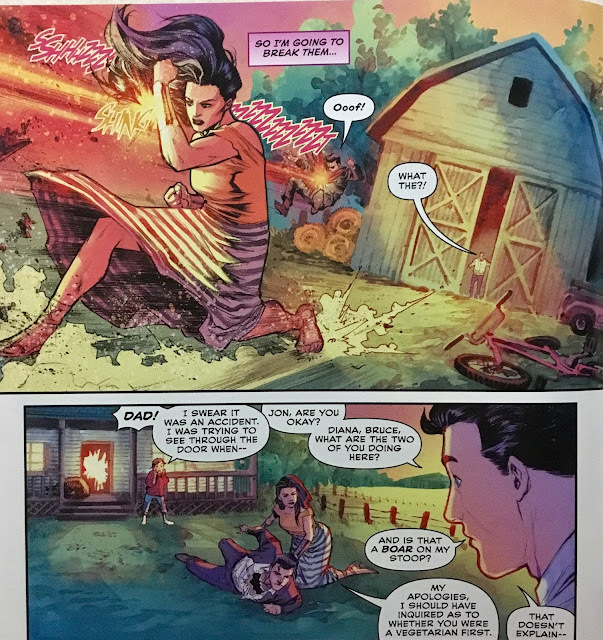 Bruce and Clark bond over their respective children, and Diana and Lois share a moment... oh, there's also a strange squishy green overtaking a barn. The night ends with the Trinity hanging out at a fence on the farm. They appear to be in agreement that this dinner was a good idea... and perhaps, long overdue. At this point, they hear a strange voice calling from the barn. 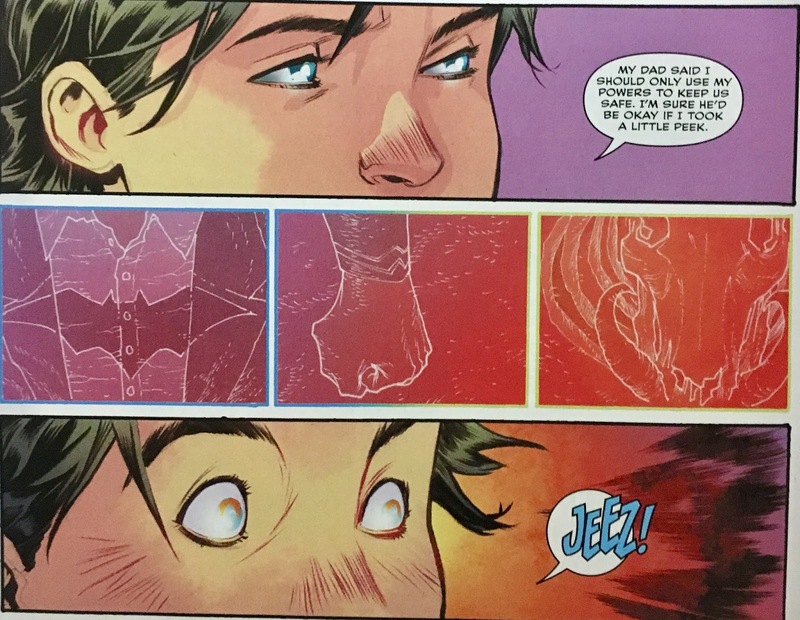 When Clark throws open the doors... he sees a vision from his childhood. I thought this was a bit familiar... which makes me feel like I might have actually read this, at least part of it anyway. I really quite enjoyed it. A nice "homey" story, with absolutely incredible art. From pencils to colors, this is one beautiful book. The story, what there is of it, is really nice as well. 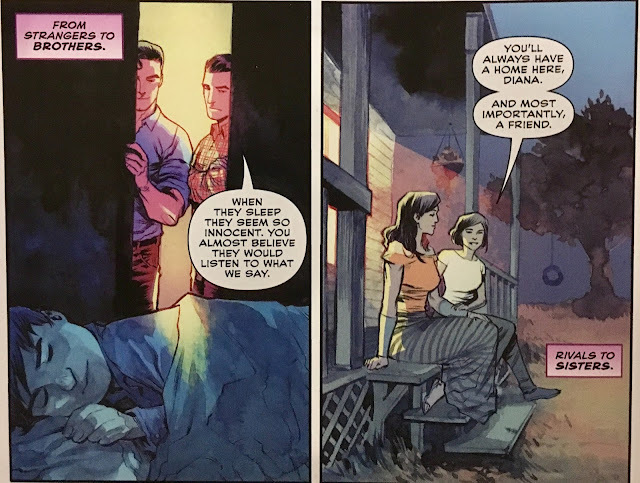 This was one of the moments I was waiting for, from the very moment they announced Superman: Lois and Clark in mid-late 2015... these were the scenes I wanted to see. It was pretty cool seeing the trio (and family) breaking bread... there was an odd cozy discomfort all throughout. They all "want to believe", but you can see that there's a bit of hesitation there. 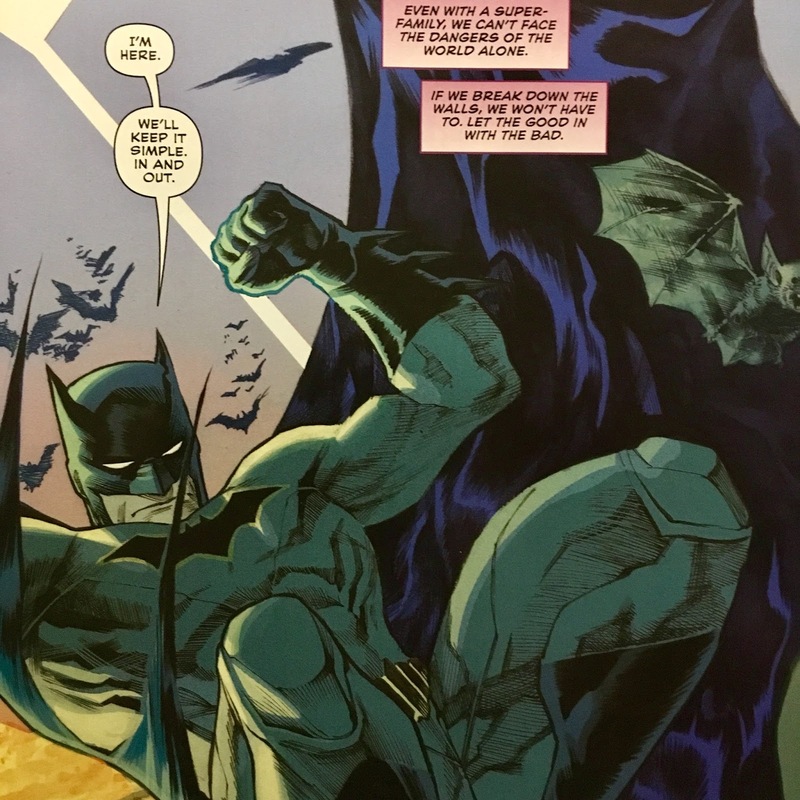 I think I could've done without the callback to Batman and his rainbow suit. 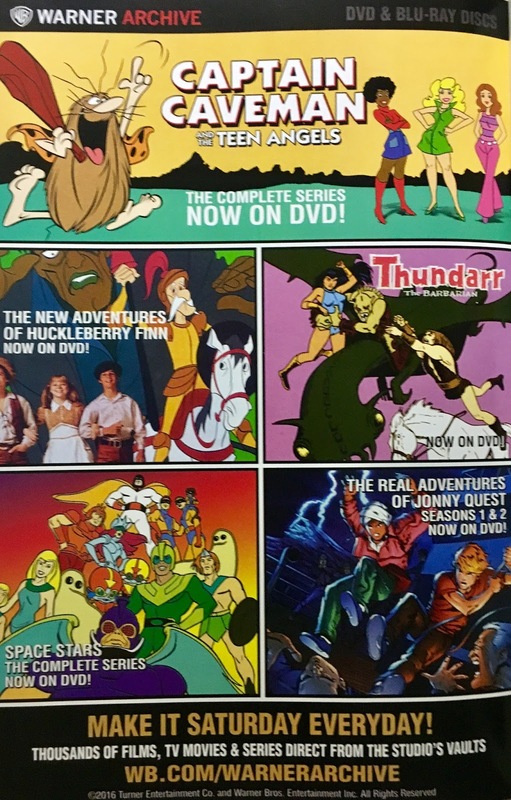 These days that's the sort of thing people pull out to show how ridiculous comic books are. At least it was well rendered, Ben-Day dots and all. The dialogue did strike me as being a bit "off"... though, I might just be conflating different versions of these characters. I don't see Bruce being so outwardly annoyed by Clark Kent's son. He might be a bit miffed, but I wouldn't think he'd allow himself to actually verbalize his feelings. Also, early on, Jon says "I didn't use my powers or nothin'."... then says "I managed to find a shortcut". That just sounds like two different voices to me. And, I gotta figure, if Jon said "or nothin'", Lois would have corrected him. I would normally complain about how many full-spreads are in a book like this... but, dammit, they look great. From the rest of my Trinity books in the stack, I have already learned what the green stuff is all about, not that it would take a genius or anything... but I gotta say, I'm not looking forward to where this is headed. Maybe it'll surprise me. Overall... this was an exceptionally quick read. If that sorta thing doesn't bother you, I'd definitely recommend it. If you ain't into the decompression, I'd say you won't miss much if you trade-wait.